Holm Astrology: DO YOU BELIEVE YOU CAN BE HAPPY? You are a hodgepodge of all that you choose to focus on. Our beliefs formulated from our past experiences can hold us in their grip for many years if and when we decided to believe that events are part of who we are. We can identify with events and in so doing they feel like they form a part of us. In reality, nothing is a part of us or belongs to us unless we chose to believe this. We believe we are a cumulation of the events we have experienced. This is only true if we believe this. This is not who we are. If a past experience feels uncomfortable, disappointing, or heavy, why would we want to hold on to this and believe that it is a part of us? Why take on anything that does not make us happy or content (which is our birth right)? Why would we not shift our focus to something that is (this moment)? Why would we not want to begin this practice now? We should ask ourselves these questions. If we find that the answers suggest that we are not allowed the expressions of peace, love, forgiveness, etc. or if we feel we are not worthy of these expressions, we should ask where these beliefs are coming from? We have the ability to move forward in any direction, at any time. Why would you not choose what is best suited for your advancement and well-earned happiness? Each of us deserves to be content and happy. If it is a choice, why would we not want to take control of our life’s path and accept our place of contentment without reservations? Listen to the little voice within that works with us. 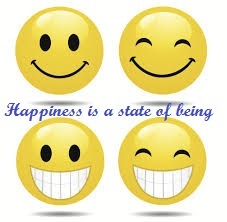 We are entitled to be happy and once accepted, we are obligated to spread that happiness by living it!